Home » Film and Theatre » Alien: Covenant. Sterling stuff? May 11, 2017 May 11, 2017 No Comments on Alien: Covenant. Sterling stuff? Ridley Scott’s new film Alien: Covenant is out in the UK this week (next week in the US). So far six Alien films have been released – the original, followed by three sequels and now two prequels. Alien: Covenant is the second sequel. 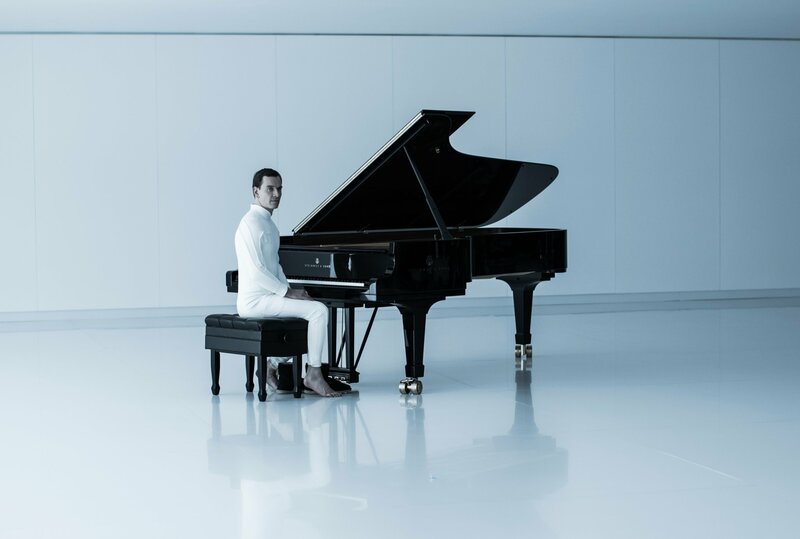 One of the production stills released by Twentieth Century Fox shows Michael Fassbender as the ‘synthetic’ Walter sat at a grand piano. Fassbender also played David in the first sequel Prometheus (2012), and “Walter” could be considered to be an upgraded “David”. The image is somewhat intriguing. The set is ultra-clinical and Walter is sat at the piano in a somewhat awkward pose, with his shoe removed, but still at his feet. I could be wrong, but this piano appears to be a Steinway Sterling (although the faceplate at the bottom of the lyre seems to be slightly different to the current model). 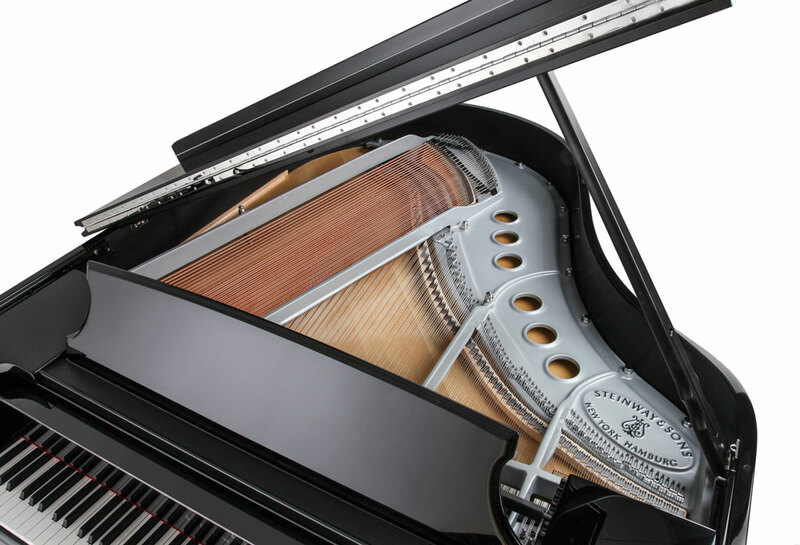 The Sterling is one of Steinway’s special editions. Back in 1853 when the Steinway company was established, most pianos used nickel for their hardware (castors, hinges, pedals etc.). This remained the trend until the 1920s, whence Steinway, and most other manufacturers, switched to brass. Brass continues to be the material of choice to this day. However, a few years ago, Steinway decided to produce a piano they described as “both modern and a throwback – the Sterling Steinway”. The Sterling is a Steinway Model D with nickel hardware, a nickel coloured decal, and a cast-iron plate finished in silver. The result is a very stylish, modern design, with a timeless appeal. I especially like the look of the plate. Why did the makers of the film, chose the Sterling? My feeling is that the grey/silver finish of the instrument better suits the colour palette of the scene, but there might be more to it than that. The Sterling is both a special edition, and a modern-day throwback. Does this reflect the David/Walter relationship? Perhaps, I’ve got it all wrong, and this is simply an older Model D, with the image’s colour desaturated (this would make the brass look like nickel)? Maybe this is all just a simple case of product placement? Anyway, just go and see the film, and enjoy yourselves.